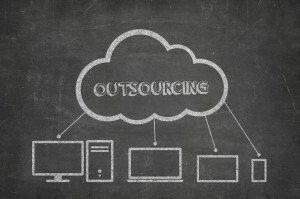 Are you not sure if it’s a good idea to outsource IT support or not? Keep reading. We’ve got the top 10 reasons you should be outsourcing. If you have IT professionals on your company’s staff, there’s a good chance you are paying a lot of money to them. The average U.S.-based IT professional makes almost $100,000 per year. It’s why so many companies are making the decision to outsource IT these days. Have you considered doing it? If so, you might be concerned about how outsourcing your IT needs could affect the overall well-being of your company. The IT professionals on your team obviously play a vital role in everything from the security of your internal computer network to the development of your company’s website. But the truth is that there are plenty of reasons to seriously consider outsourcing your IT to a company you can trust. Take a look at 10 of those reasons below. If your website suddenly crashes or your computer network stops working, the IT professionals on your staff will be well worth the money you are paying them. They’ll spring into action and fix whatever problem has popped up. But what about when everything is up and running just fine? While there is some basic day-to-day IT maintenance that needs to be done, the truth is that your IT professionals aren’t going to be working all the time, even though you’re technically paying them to. When you outsource IT, you won’t have to worry about this aspect. You will get to pick and choose which IT services you need. Those services will, in turn, be the only things you’ll need to pay for. 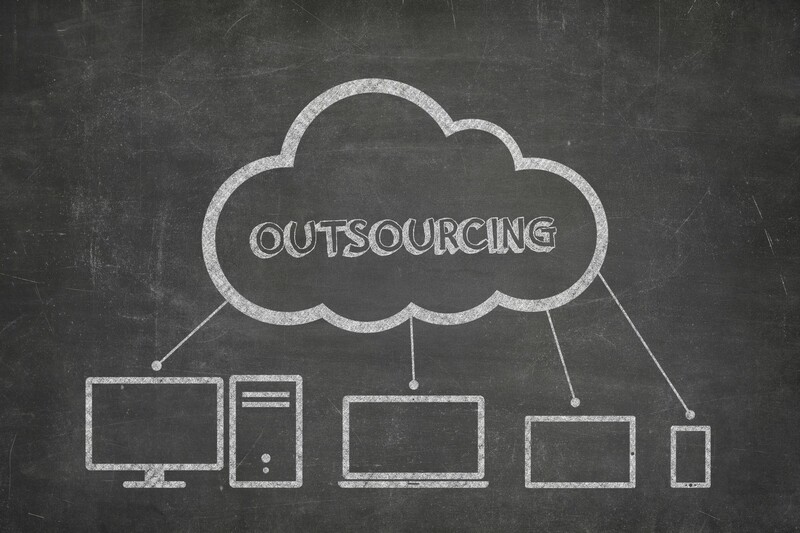 Lowering your operating costs is easily one of the big pros of outsourcing IT. Outside of paying the IT professionals on your staff, you also have to spend time recruiting new IT members to replace those that leave your company for whatever reason. This can waste a lot of time for your HR department. When you make the decision to outsource IT, your IT company will be in charge of handling recruiting and putting the right people in place to handle your needs. In most cases, you won’t ever come into contact with those people, but you can rest assured knowing they have the skills and experience it takes to tackle any IT issue. In addition to hiring IT professionals to be on your staff, you also need to make sure they have the proper training at all times. And because the IT world is always changing, there are always new courses that those in it need to take. IT training can be expensive for you and your company. It can also leave you without an IT professional on your staff on certain training days, which can leave your company vulnerable. If you decide to outsource IT, it will be up to the company you work with to take care of training their employees and ensuring they have enough experience to tackle certain jobs. You won’t ever have to spend another dime sending an IT professional to a training course. There are new forms of technology that are popping up every single day and making it easier for your company to function. Problem is, many companies have IT professionals that don’t have the time to investigate new forms of technology and incorporate them into the mix. You can stay one step ahead of the game when you outsource IT and work with a company that always has one eye on the future. You can also ask questions about specific types of technology, like cloud computing, and see if it would make sense for you to start using them. As you can probably imagine, this is a terrible approach to take. Outside of the fact that “Bill in accounting” and “Cheryl in billing” aren’t certified IT professionals, they also have their own responsibilities they need to take care every day. Bill and Cheryl will appreciate you making the decision to outsource IT rather than asking them to continue to try and fix all your IT problems. No matter how hard your IT professionals work, they aren’t going to be on the job all the time. They’re going to go away on vacation or take a sick day every now and then. If an IT emergency pops up when they’re not around, what are you going to do? When you outsource IT, this will never be a problem, as most IT companies offer 24/7/365 service to customers. You can get someone on the phone at any time of the day or night to discuss an IT issue. One of the other big issues that many companies encounter when it comes to IT is that they’re too reactive. Something breaks–and then they fix it. Then something else breaks–and they fix that, too. And so on and so forth. Rather than only reacting to problems, why not be proactive instead? Being proactive is one of the keys to maintaining a successful network. Your IT company should be able to spot potential issues and bring them up before they cause serious consequences. This should be more than possible since they’ll be monitoring your IT systems 24/7 once you bring them on board. While it’s important for your IT company to be proactive when you outsource IT work to them, it’s important for you to be as proactive as possible, too. This means bringing up problems you might be having so that your outsourced company can find a solution for you. For example, let’s say you’ve been thinking about trying to increase the mobility of your office. You want your employees to be able to work from home more often if they want. This might sound simple enough. But in reality, there are all kinds of security issues that could prove to be problematic. Your employees could also have trouble accessing your network when they’re not actually in the office, which could cut into their productivity. The right IT company can find a workaround for you and make your company more mobile in no time. People will be able to start accessing your network from wherever they want when you outsource IT to the right company. There is a certain peace of mind that comes along with outsourcing. You will be taking all of your IT work and dumping it into someone else’s lap rather than continuing to worry about it on your own. There could also be some big legal ramifications that come with doing it. If you choose to do it, you can put an agreement into place that puts legal responsibility on your outsourced IT company to deal with any issues that come up in a timely fashion. If for whatever reason, the company cannot meet your needs, it could allow you to seek legal damages from them and be compensated for your troubles. This is something you obviously couldn’t do with an in-house IT team. While all of the reasons listed here are important, this one is, without a doubt, the most important reason of all. Your business is very important to you, and you work very hard to keep it afloat. You spend tons of time, energy, and money doing whatever you can to make it as successful as possible. But if you are working with an IT department that is overmatched and unable to keep up with the constant demands that come with the job, then you are likely having to deal with one IT problem after another rather than dealing with the real issues affecting your company. How nice would it be to give up control of your IT department to a company you can trust to handle your network with care? With services like Chameleon IT Service, IT Support, Managed IT Support, you can get back to doing what you do best: running your business! Saving money when you outsource IT work will be nice. So will eliminating the headaches that come along with fielding calls and emails about IT problems. But the best perk of doing it will be spending more time running your business rather than thinking about your company’s IT needs. Don’t spend another second stressing out over your company’s current IT shortcomings. Cut your IT department costs now by outsourcing and start enjoying all the other benefits that come along with it. If you have enjoyed the tips provided here, check out our blog for more information on meeting your company’s IT demands. Catherine Hernandez is a freelance set decorator, shopper, stylist, and vintage seller. She loves to thrift shop, and hunt for vintage items and other treasures. Currently she lives in Los Angeles with her fiancé.